Photo courtesy of rawpixel, licensed under CC BY 2.0. 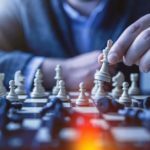 As you execute the second half of your 2018 education marketing plan, it’s time to start strategizing and planning for the coming year. Stay on the cutting edge by developing your marketing plan and budget to incorporate emerging trends, industry innovations, marketing channels–the list goes on … but don’t sweat it. As you set your goals, determine how to reach them and track your success. Ongoing measurement and optimization assess your education marketing efforts by referencing insightful metrics to identify needed real-time tweaks and refine future campaigns. Evaluate the successes and challenges of prior campaigns to ensure your next campaign includes achievable goals and the metrics necessary to measure your efforts. Seek out tools that streamline your process and contribute to your goals. From downloadable infographics and bold landing pages to engagement-boosting social media ads, identifying which gizmos and gadgets will best fuel your success is critical. 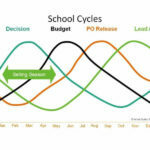 Education marketing is evolving and new trends are emerging–it’s important to continually reevaluate your approach as it relates to your annual goals. Always be prepared to adapt your goals and marketing strategy to the ever-shifting industry landscape. Our guide walks through likely 2019 trends for marketers and budget aficionados to consider and incorporate. 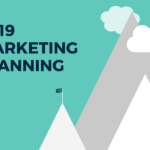 Download the “Tools and Trends for 2019: Your Marketing Budget Playbook” to get started. Need some guidance putting your plan together? Drop us a line.